Staff was great, pool is fun. 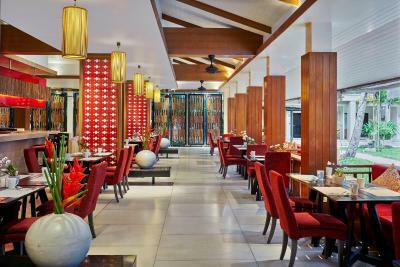 Food is also great Overall i had a great experience at swissotel its mostly the outdoor activities that dissapoint from walking dostances. Very friendly staff and location is great. Really enjoyed the kids club. If you are traveling with kids it’s the right place. 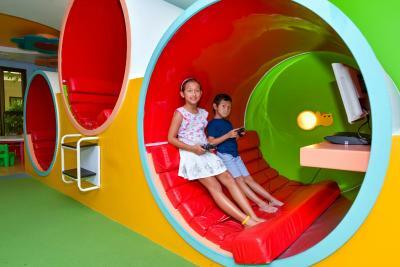 The most kids-friendly hotel we’ve ever stayed! 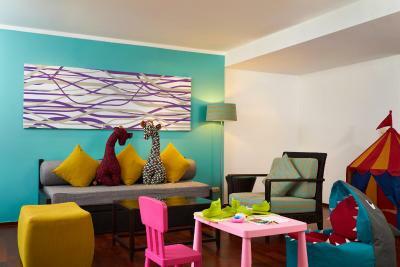 We have 2 small kids and they loved the hotel very much! Staff was friendly and as helpful as could be. The spa is nice, clean and affordable. The breakfast buffet was excellent and had something for everyone. The pool was also very nice. 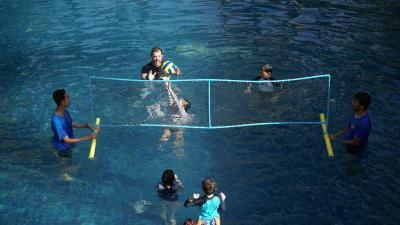 A great place for families traveling with children, under 10 years old. Kamala beach is nice for swimming. I soooo loved the kids upgrade. Before my trip I was thinking of getting an extra bed. 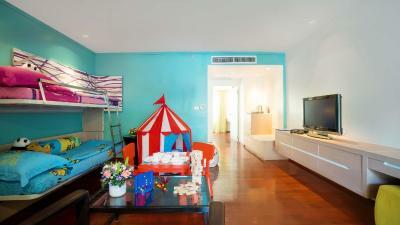 Upon check-in the reception who saw us to the room suggested kids upgrade. Had no clue they had such a thing. Within an hour the staff setup a double kids bed, extra mini-table with kids chairs, relaxing beani bag chair thing and a tent. Kids loved it. Plus.. the kids TV section at the restaurant was great. 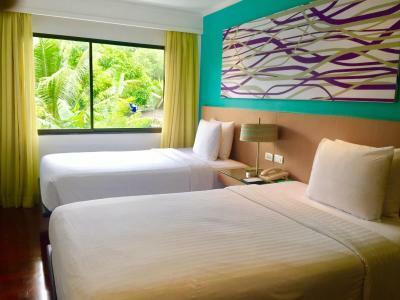 I really like the calm in this hotel, services, facilities and staff.. the room is clean and comfortable. Pool is nice and big with a water slide. Breakfast is very good. Dinner is also good and has halal options. Has a good spa. The swimming pool is great. Apartment needs some modern renovation but was clean and staff help me bring my luggage upstairs. Staff was great and they offered me late checkout. The kids playground area is also nice. 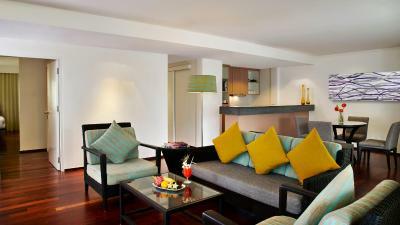 Swissotel Resort Phuket Kamala Beach This rating is a reflection of how the property compares to the industry standard when it comes to price, facilities and services available. It's based on a self-evaluation by the property. Use this rating to help choose your stay! 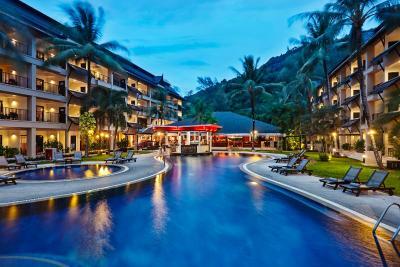 One of our top picks in Kamala Beach.Located around an outdoor pool with a waterslide, Swissotel Resort Phuket Kamala Beach Suites offers luxurious rooms with a separate lounging area and a 32-inch flat-screen cable TV. 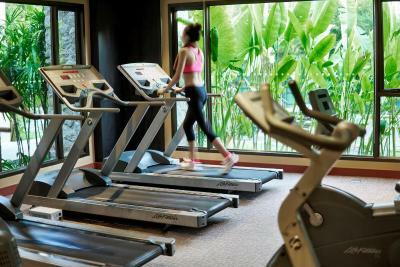 A 10-minute walk to the peaceful Kamala Beach, the property features the magnificent the Serenity Spa and a 24-hour fitness center. 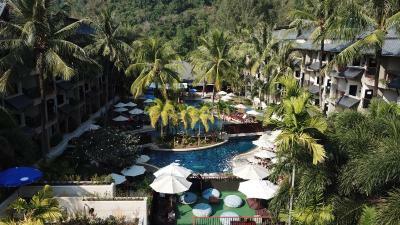 Swissotel Resort Phuket Kamala is a 50-minute drive from Phuket International Airport. 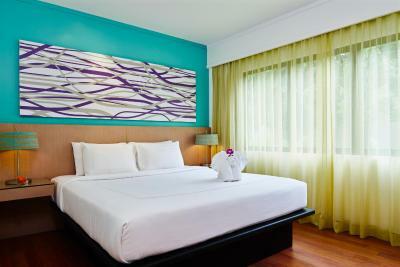 It is within 5 mi of Jungceylon Mall and Phuket FantaSea Cultural Park. 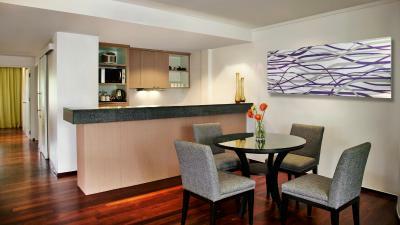 Fitted with polished wooden floors and warm lighting, rooms are elegantly decorated with modern furnishings. 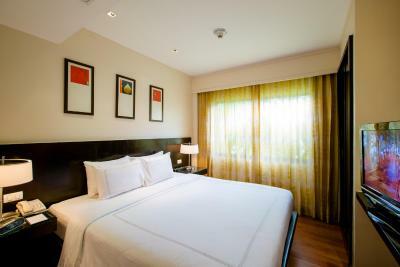 Each room comes with a private balcony, a DVD player and mini-bar. 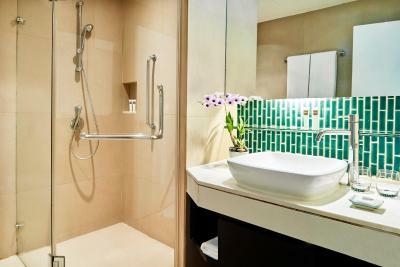 Free toiletries, a bathrobe and a hairdryer are included in an private bathroom. 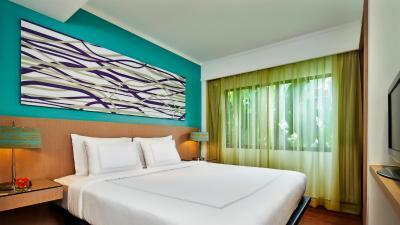 The property is well-equipped with meeting facilities and a business center. 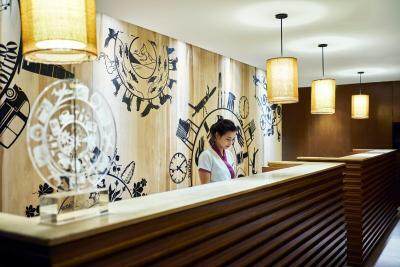 Staff at the 24-hour front desk can assist guests with laundry services and currency exchange. 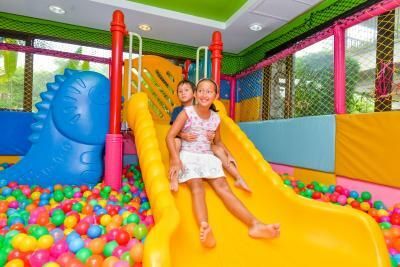 Families with children can enjoy a variety of fun activities at Kid’s Club. 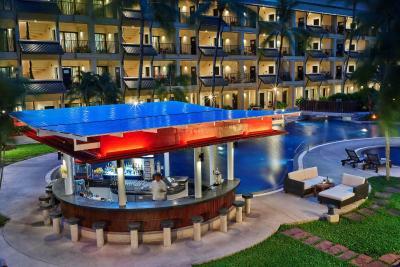 A wide range of international dishes are served at the cafe, while refreshing drinks can be enjoyed at Splash pool bar. 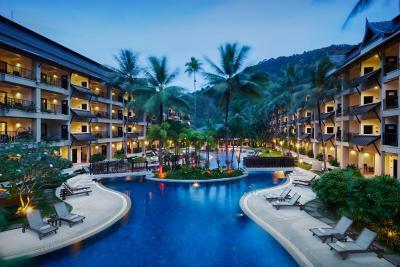 When would you like to stay at Swissotel Resort Phuket Kamala Beach? 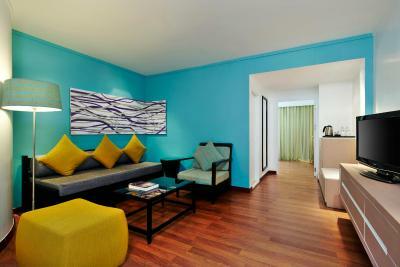 Air-conditioned rooms feature a private balcony, a 32-inch flat-screen cable TV with a DVD player and minibar. Free toiletries, a bathrobe and a hairdryer are included in a private bathroom. 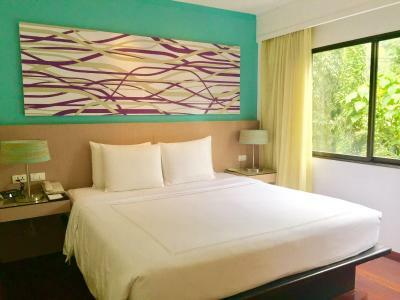 Offering a direct pool access, air-conditioned rooms feature a private balcony, a 32-inch flat-screen cable TV with a DVD player and minibar. Free toiletries, a bathrobe and a hairdryer are included in a private bathroom. 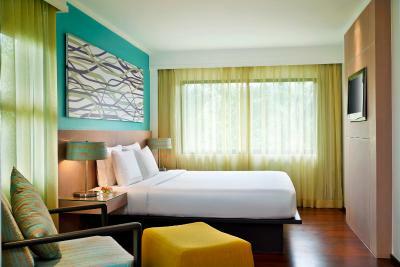 Spacious air-conditioned rooms feature a private balcony, a 32-inch flat-screen cable TV with a DVD player and mini-bar. Guests will find indoor / outdoor seating areas. Free toiletries, a bathrobe and a hairdryer are included in an private bathroom. 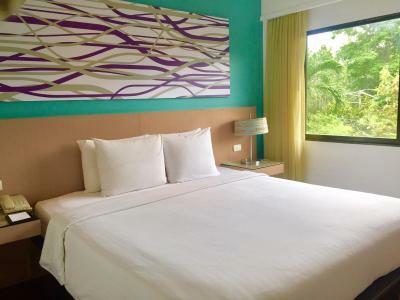 Offering a direct pool access, spacious air-conditioned rooms feature a private balcony, a 32-inch flat-screen cable TV with a DVD player and mini-bar. For added convenience, there is a dining area in this room. Free toiletries, a bathrobe and a hairdryer are included in an private bathroom. 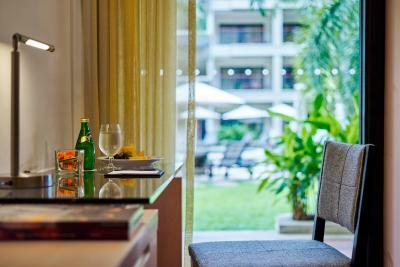 This spacious room offers a seating area and balconies with pool and garden view. 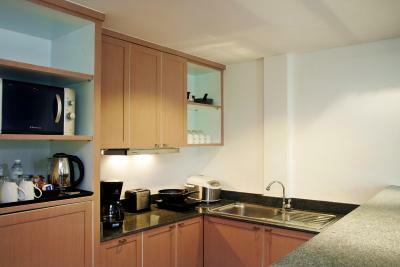 Two bathrooms and a dining area with fully-equipped kitchenette are featured. The suite comes with a flat-screen TV with satellite and cable channels. Guests can enjoy pool view from a private balcony. 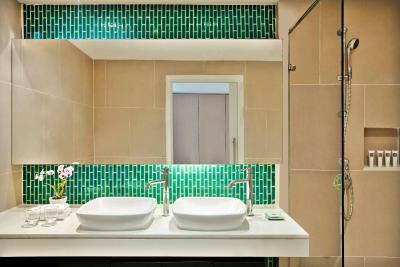 Bathroom is fitted with a shower and free toiletries. 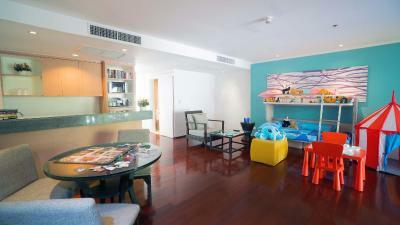 This suite features a living area with a convertible sofa bunk bed for children and a dining area with a kitchenette. 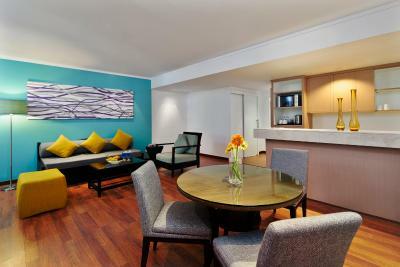 A private balcony is fitted with outdoor furniture while bathroom comes with a shower and free toiletries. 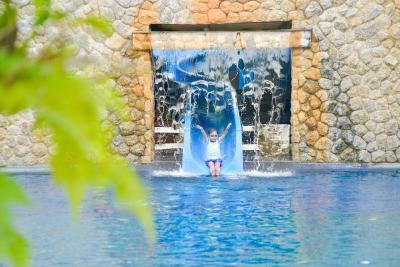 House Rules Swissotel Resort Phuket Kamala Beach takes special requests – add in the next step! Swissotel Resort Phuket Kamala Beach accepts these cards and reserves the right to temporarily hold an amount prior to arrival. 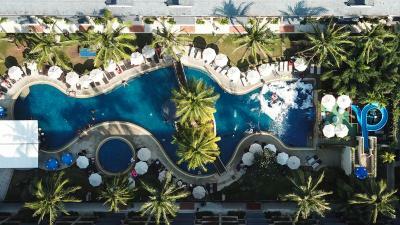 Please note that the name of the credit card holder must be the same as the guest's name and the credit card must be presented to the property upon check-in. 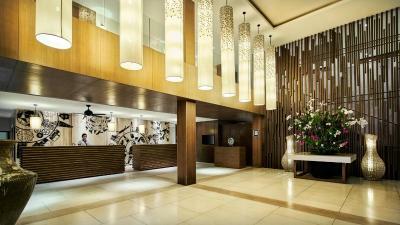 If the guest fails to present the credit card, the hotel shall reserve the right to require a new payment. Staff were excellent, always very helpful. Hotel is old Rooms are very old and Airco is very noisy Pool water is far from being clean:-( Very noisy around the pool If you have no kids, this hotel won’t suit you. 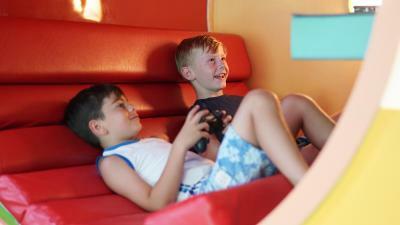 The kids loved the hotel, the pool and the activities for them (kids club, waterpolo, PlayStation ,...) Beach is worth crossing the dangerous road between hotel and beach front. All of the staff are lovely. 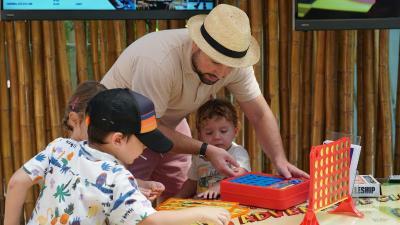 The activities team do a great job adding to the atmosphere of the resort. 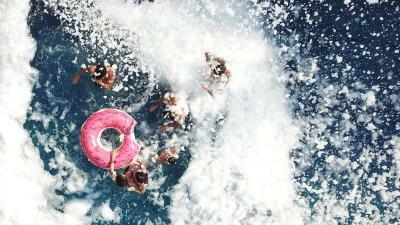 We stayed last year too, and this year they added better pool bar specials, which was a big improvement. Room was cleaned very late in the day. Also if we ordered room service for the kids then the plate would stay outside on the table for 24 hours. Infant cots need to be replaced; new cots with a firm mattress base and fitted sheets are much safer than thick and sponge-like sheets and mattresses. Housekeeping need to clear up dirty plates earlier in the day; too many left around the hotel grounds from the previous evening. New restaurant menu as great, especially the poke bowls. 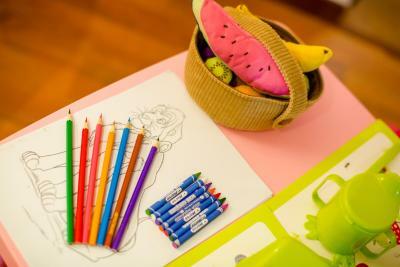 Kids playroom. Helpfulness of the staff. 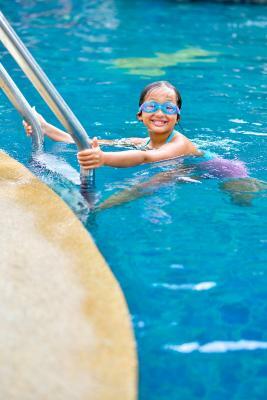 Swimming pool for kids. Water temperature in shower changes from too hot to too cold several times during bath. Front office was very helpful in an array if situations, especially dealing with room service issues. Special thanks to Khun Rung who made her upmost to have a memorable stay. She really went out of her way to help and she outshined in doing so. Thank you!! Breakfast buffet used to be better. Staff were so friendly, the pool area is amazing, and buffet breakfast was beautiful!